Wildlife Control. Wildthings provides affordable services with written guarantees. and structural problems by nesting on or around your business. Contact Sawyer Pest Management today for bird control services and product info. Momma Rat: 15,000 Babies a Year! Where do mice go in winter besides houses? Most species of mice and rats have adapted very successfully to living in close proximity to humans. They often nest and live in buildings, and can squeeze through very small spaces. Compared to other types of urban wildlife, mice and rats pose a particular challenge for residents due to their small size, their year-round prolific breeding capacity, and their ability to thrive in an indoor environment. The presence of mice and rats in our homes often causes significant concern and fear among residents. Mice and rats can do considerable damage by gnawing their way through wood, paper, clothing, and other materials to get into containers, cupboards, drawers and other areas. They may also carry diseases or parasites that could be passed on to you or your pets. Food that has been contaminated by mice or rats should always be avoided. Precautions must be taken against disease by properly cleaning areas where mice or rats have been. But we must remember that these little creatures, like all wildlife, are opportunists seeking food and shelter. We must make sure we don’t provide the opportunity they are seeking. When human-wildlife conflicts occur, a little understanding of the animals’ characteristics and needs will help us take a humane and patient approach leading to a peaceful coexistence. Humane treatment of an animal involves compassion and respect, precludes cruelty and avoids pain, suffering or injury. The first line of defence, as with all wildlife conflicts, is to try to prevent access as much as possible and remove food sources. Since house mice in particular generally live indoors, it is very difficult to get them to leave voluntarily. But removing their reason for being there (mainly food) will go a long way towards reducing their numbers. The most common type of mouse found in urban environments is the house mouse (Mus musculus), which originated in southern Asia. They prefer to live in buildings close to human food supplies, but in an appropriate climate, can survive in the wild where they will dig burrows with several underground chambers. House mice vary in colour from light brown to dark grey with a lighter colour on their bellies. They have proportionately large ears, small eyes and small feet and weigh less than 28 grams. Deer mice (Peromysus maniculatus) are native to North America and are very similar to the house mouse. The distinguishing feature is that the deer mouse’s tail is brown or grey on the top and white underneath, in contrast to the house mouse whose tail is the same grey-brown as its body. Deer mice generally nest in underground burrows but may sometimes invade buildings near fields and woodlands. Mice are omnivores and will eat a variety of things. They seem to prefer cereals, seeds and nuts but also like foods high in fat and protein such as butter, bacon, meat and sweets. A mouse requires about three grams of food each day and can live without access to fresh water. Because they do not hibernate, they will store large quantities of food in different places, to rely on in harsh weather. As with all rodents, mice must gnaw to keep their front teeth worn down and can chew through wood, aluminum, soft mortar and asphalt. There is a definite social ranking among mice that is linked to protection of individual territories that are scent- marked with urine. Subordinate mice tend to feed and be sexually active when the dominant males are inactive, generally during the day. Unrelated males are highly aggressive toward one another. Males tend to have larger territories than females and each mouse will travel its entire territory daily to investigate any changes that may have occurred. Mice are nocturnal and house mice breed throughout the year. A mouse will have eight to ten litters of 3-16 young annually, each with a lifespan of about one year. Their reproductive life begins at one and a half to two months of age. They are excellent jumpers and climbers, being able to jump from a height of 2.4 m without injury, or jump up to 30 cm off the ground. They can squeeze through openings slightly larger than 7 mm in diameter and are capable swimmers if they need to be. Norway rats, the most common species of rat, first came to North America in the late 1700’s by stowing away on ships coming from other continents. Other species found in North America are the roof rat or black rat, located in the south and west, and the wood rat, a native species that prefers to live away from humans. Norway rats are large and stocky with grey to brown fur, long, naked tails and small eyes and ears. They weigh almost half a kilogram and are about 30-45 cm long including the tail. They are not good climbers so are usually found in sewers and basements, and will dig their burrows at ground level, often in damp places. They are generally nocturnal but may be active during the day. Rats are omnivores, feeding on seeds, cereals, nuts, fruits and vegetables, insects, fish and all manner of garbage. They generally require water daily, although their diet may provide a sufficient amount. Norway rats live in small, hierarchical family groups, including one or more dominant males. Females come into heat every four or five days and will have litters of 6 to 12 young. The young are fully independent of the mother and reproductively mature by three months of age. In the wild, breeding is seasonal, but when food is abundant, rats will reproduce year- round, especially during spring and fall. Rats can squeeze through openings no larger than 13 mm in diameter, climb up the inside and outside of pipes, jump as much as a metre vertically, drop 15 cm without serious injury and can burrow down to a depth of 1.2 m. They can gnaw through lead sheeting, cinder block and aluminum sheeting, as well as wood and other softer materials. Their teeth will grow up to 12.5 cm per year, but, as with all rodents, regular gnawing keeps their teeth trim. Since Norway rats are not good climbers and prefer damp places, they are most likely to be found in basements, garages, sheds or barns. Rats may live or gain access near the foundations of buildings so be sure to clear brush away and seal up any cracks. You may need to install fine-mesh hardware cloth to prevent digging beside the foundation. Woodpiles, tall grass and other debris close to buildings should be removed as they provide perfect shelter for rats or other wild animals. All garbage must be kept in animal-proof containers at all times and pet food should never be left out. Mice generally enter buildings at ground level through very small openings and can be found anywhere from the basement to the attic. They will build nests in the space between double walls, floor joists and concealed, enclosed spaces in cupboards or under counters. The first line of defence is to rodent-proof the building to prevent more animals from coming in. Keeping mice and rats out of buildings, however, is no small feat. Settling of the ground or drying of green wood in new buildings may cause cracks or gaps in walls or door frames. Physical damage such as a broken cover on a floor drain, chipped concrete beneath a door, punctured ventilating screens, a broken basement window, or cracks in the foundation can all provide access points for rodents. Quick dry cement is best for sealing holes on the outside of the house. Six mm metal screening should be placed over dryer vents and other ventilation openings, and under open porches and sheds. Steel wool can be used around pipes in the kitchen, bathroom and basement. All openings for water pipes, electric wire, telephone wires, sewer pipes, drain spouts and vents must be sealed, and doors and windows must be tight-fitting. Plastic sheeting, screening, or wood are unsuitable as mice and rats will chew through them. Considerable attention must be paid to the kitchen or anywhere that food is kept. By preventing access to all food sources, you will force the rodents to move out in search of more hospitable lodging. Good housekeeping, proper storage and handling of food and disposal of organic wastes are essential. All dry foods such as cereals, pasta, nuts, sugar and grains should be kept in glass or metal jars with tight lids, not in bags or plastic containers. Be sure to keep containers clean with no jam or syrup running down the sides. Potatoes, onions and other root vegetables should be kept in a rodent- proof cupboard or in the refrigerator. To rodent-proof a cupboard you must ensure that there are absolutely no cracks even big enough for a pencil. The cupboard under the kitchen sink will need special attention to seal around the pipes and other openings. Mice and rats will chew through caulking, so use steel wool around the pipes and nail sheet metal over cracks. Particularly in older houses, hanging cabinets may settle and leave a space big enough for mice to access. Check closely from the inside of the cupboard as a gap may not be visible from the front. Other potential food sources for rodents are birdseed, garden seeds, and pet food. Be sure these items are properly stored. Also check the attic, eaves, woodshed and corners of the basement for beehives. The honeycomb could provide enough food to feed your mouse or rat population all winter. Unfortunately with mice and rats, efforts to exclude them from buildings may not be enough to actually get the rodents to move out. Because they are smaller and more prolific than other species of wildlife, it is a challenge to remove mice and rats humanely. In some cases trapping may have to be considered to eliminate the animals from the building. It should be stressed that trapping alone is not an effective method of rodent control. Unless the access points are sealed up, more animals will continue to move in. If trapping is to be used, you have to decide whether to use live holding traps or killing traps. It is questionable whether a house mouse would survive if released outside, even if the temperature was mild. Deer mice, however, would likely be fine if the climate was suitable, but most homeowners would not be able to distinguish between the two species. Therefore, in most circumstances, quick killing traps would be more humane. Glue boards should never be used as they cause immense suffering from suffocation, dehydration, injury or stress. If live holding traps are to be used, someone must be available to monitor the traps every few hours and the climate and environment outside must be warm and dry. A mouse or rat could die a lingering death from dehydration or stress if left in a small holding trap for any length of time. If the climate is unsuitable for release and the traps cannot be monitored frequently, then quick-killing traps should be used. Traps should be placed against and perpendicular to baseboards, walls, boxes or other sheltered areas where mice and rats may travel. Set them so that the animal is most likely to pass directly over the trigger. For example, when a trap is placed perpendicular to the wall, the trigger should be closest to the wall. If traps are set parallel to the wall, they should be set in pairs with the trigger ends away from each other to intercept animals coming from either direction. Effectiveness can be increased by leaving the traps baited but not set until the bait has been taken for a few consecutive days, and then set them. Traps may be baited with rolled oats, peanut butter, raisins, raisin bread, cheese, chocolate or lightly cooked bacon. The bait should be fastened to the trigger with light string, thread or fine wire to ensure that the animal will spring the trap. Do not set traps where domestic animals may access them. Inspect the traps daily and remove dead animals promptly. It is important to use enough traps to eliminate the rodents quickly so that populations will not become trap-shy. Keep traps in good working condition and reasonably clean, although human and dead animal odours do not reduce their effectiveness. After several uses, the spring may weaken and, instead of a quick, humane death, the trap may cause intense suffering and a lingering death. Traps should be discarded after several uses to prevent the potential for such suffering. Do not touch live or dead rodents with your bare hands as they can transmit diseases and parasites. Always wash your hands thoroughly after handling traps. If a person or pet is bitten by a rat or mouse, wash the wound immediately with soapy water and see a doctor or veterinarian as soon as possible. Poisons used to kill rodents are called rodenticides and come in several different forms, all of which result in a lingering, inhumane death preceded by great suffering. Anticoagulants reduce the clotting ability of the blood and cause death by internal hemorrhaging over several days. Acute rodenticides affect the liver and kidneys and cause gradual paralysis of the heart. In addition to the terrible suffering inflicted on rats and mice as the intended targets, poisons will have the same effect on other animals, including pets that may have access to the substance. Poisons are hazardous to the environment and therefore, should never be used. Due to the intricacies of rodent-proofing your home and the need for regular observation, it is most practical to tackle the task yourself. Pest control companies should be avoided unless they can show you that their practices are humane. Some companies use glue boards and poisons. A humane death occurs when an animal dies instantly without pain or panic. When addressing problems of mouse or rat invasion, homeowners should keep in mind that these animals have moved into their home in search of food and shelter. The only way to solve the problem and prevent it from recurring is to remove their food sources and to systematically close up all possible entry points. In the case of mice, this is indeed a challenge as the entry holes can be so small. Particularly with older homes, it may be almost impossible to seal up the house, but rodents can be forced out by carefully storing food, seeds, pet food and all other items of interest to rodents. If they have no access to food they will have to move on. Bedbugs are a big topic these days, as news stories across the world have declared that bedbug infestations are on the rise. Unfortunately, the harsh winter seen in parts of the United States and across the northern hemisphere hasn’t helped. With most bug infestations, cold weather is a good thing, as the bugs die or go into hybernation. However, bedbugs are different. They can survive temperatures as low as 14 degrees Fahrenheit for up to FIVE DAYS. In that time, it’s likely they’ll find a nice cozy home where it’s warmer. Of course, the main advantage the little guy in the picture to the left has is that he lives indoors. Another unfortunate (for us) factor in the parasite’s favor is that its natural predators, like spiders, tend to hibernate during cold weather. If you have determined that you do indeed have an infestation, there are a couple of things you can do … but there’s no easy solution. The most thorough route is to get rid of all of your bedding (mattress, box spring, pillows, etc.) and wash all of your clothes, linens, and bed clothes (sheets, covers, etc.) in hot water. Thoroughly vacuuming your floors may remove many of the bugs as well. Sprinkling powdered boric acid on the floor (but NOT on your bedding!) after vacuuming may help eliminate bugs that managed to scurry away from the vacuum. If you can’t afford to replace your mattress, run the vacuum over it, then buy an airtight mattress cover. Insecticides are NOT an option, as they shouldn’t be applied to your mattress. In the end, however, it may require a trip from a pest removal professional to eliminate every trace of the little buggers. 1. What are bed bugs? Do bed bugs fly, jump or burrow into skin? What other names do bed bugs have? 2. What can bed bugs do to me? Are bed bug bites worse for children or the elderly, compared to healthy adults? Can I get a disease from bed bugs? 3. What does a bed bug bite look like? How do bed bugs feed? How do I tell if my bites are caused by bed bugs? Why do I get bites, but my significant other doesn’t? 4. Where did bed bugs come from? Why are bed bugs making a comeback? 5. Where do bed bugs live? 6. How do I find out if I have bed bugs? Do bed bug-sniffing dogs work? How to I check a room for bed bugs? 7. How do I have specimens identified? 8. How did I get bed bugs in the first place? 9. Can I prevent bed bugs with insecticides? 10. How can I avoid bed bugs when traveling? 11. What can I do if I just got back from a place where there might have been bed bugs? 12. Will bed bugs actually travel on me? 13. What should everyone know about bed bugs? 14. I have bed bugs. What do I do? What are their natural enemies, other than humans? 15. What are the legal repercussions of bed bugs? 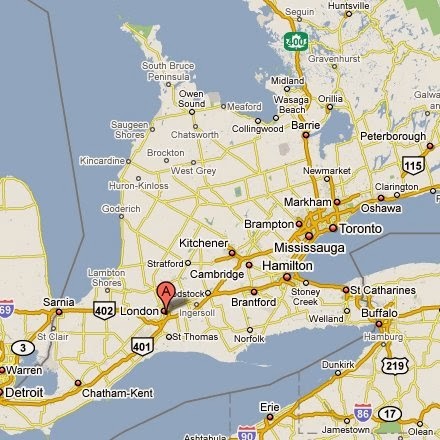 Who will pay for the costs of treatment and my lost time from work if bed bugs where I work come home with me? What is my recourse if an infestation in my condo or apartment leads to an infestation next door? 16. What shouldn’t I do when trying to eliminate bed bugs? Do I have to throw out my mattress and furniture? 17. What do I do with my pets if I have bed bugs? 18. How long does it take to get rid of bed bugs? 19. What should a pest control company do for me—and vice versa? 20. How do I kill bed bugs without insecticides? Can cold kill bed bugs? Can heat kill bed bugs? Can steam kill bed bugs? 21. How do I kill bed bugs with insecticides? What’s the problem with using insecticides to fight bed bugs? 22. How do I kill bed bug eggs? 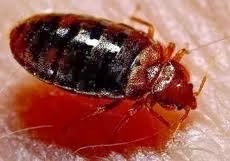 If you ever heard that nursery rhyme Good night, sleep tight, don’t let the bed bugs bite,” you know these critters bite in the night. But most of us never heard of them in real life until now. Anatomy: A bed bug has 6 legs. Its antennae point forward and are about half as long as the body—not longer. Its head is broadly attached to its body and it has no wings. Eight legs indicate a tick or mite. Six legs and long antennae with two spikes coming off the back (cerci) might be a roach nymph. Carpet beetle larvae have hairs all over their bodies. Carpet beetle adults have two hard wings. Color: A “drop of blood with legs” is probably a recently fed bed bug. It will be red, plump, and oval. After it digests its meal, it’ll be mahogany-colored, round, and flat. Unfed nymphs are tan. Eggs are oval, white, and stick to whatever they’re laid on. Size: You can see the adults—they’re about 1/4” long. The trick is finding their hiding spots. They can wedge themselves into any crack or crevice. If the edge of a credit card can fit, so can a bed bug. Eggs and just-hatched nymphs are tiny: 1/16” (1mm) long—the size of the “R” in “LIBERTY” on a penny. They’ll plump up after feeding—just like a mosquito. Behavior: Bed bugs crawl—scurrying into dark, tight spaces to hide—they move as fast as an ant. They can’t jump or fly and you’ll never find them burrowing into your skin. If the insect you have came out on its own accord at night when the lights were out near the bed or a couch, it was probably a bed bug looking for a meal. Bed bugs aren’t social insects like ants, so they don’t need a colony. But while they group together in good hiding spots, loners could be hiding elsewhere. First, look at pictures on university websites. If you think it’s a bed bug, package it carefully to prevent damage and send to an expert for positive identification. Bed bugs have close relatives: poultry bugs, barn swallow bugs, bat bugs, and tropical bed bugs— to name a few. They too can feed on humans and act like bed bugs do. For accurate identification, send a sample—preferably several adults—to a Cooperative Extension diagnostic lab. Find your local office. What is my obligation if an infestation in my condo or apartment leads to an infestation next door? What are the dangers of using insecticides to fight bed bugs? Even more insecticides get used.